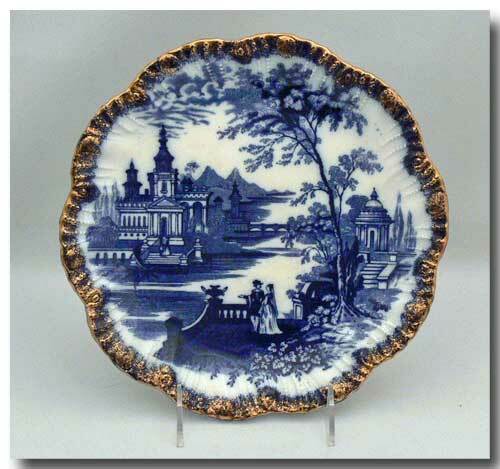 A wavy-edged flow blue plate with a very good transferware pattern of an Elizabethan couple in the foreground & a castle across the river with a Classical façade. 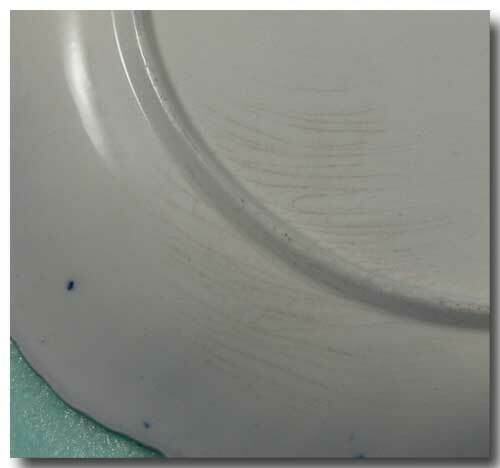 The mould includes a series of raised beads from the pattern edge to the rim. In beautiful condition with no knife marks, chips or hairlines. 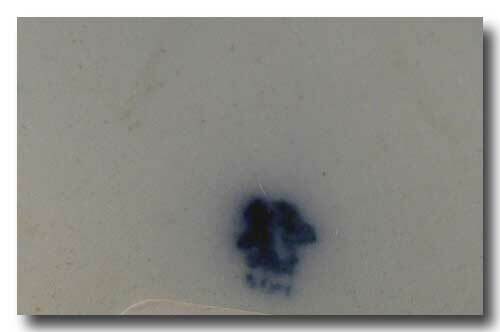 There is a makers’ mark on the back but it is indistinguishable to me and does not show on a photo. The underside does show some crazing lines. Circa 1900. Approx. 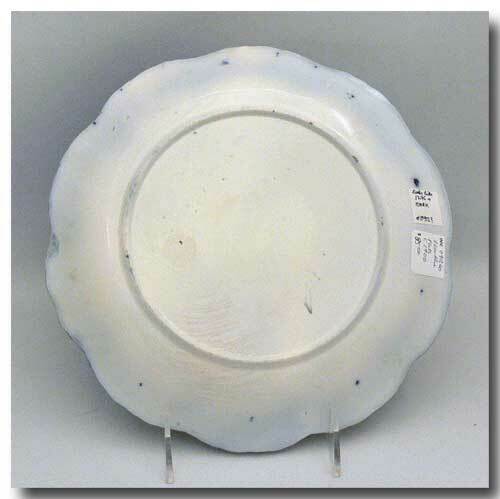 diameter: 9 ½ inches at widest points.